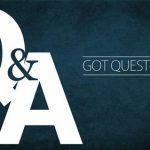 What is Diamond Clarity? And How Important is it? How Diamond Clarity Impacts Price? 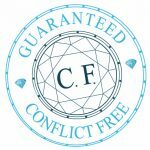 As with all the 4 Cs when it comes to diamond clarity you really need to understand what you are looking for in order to make the proper judgment and buy the best diamond for your money. Many people lacking the real understanding jump in and end up spending way too much money for a higher clarity grade. Diamond clarity is a measure of how “clean” the diamond is. Diamonds are natural minerals and as such will often time have certain imperfections, such as small chips , “feathers”, or “clouds” in them, which may or may not effect the perceived beauty of the diamond. 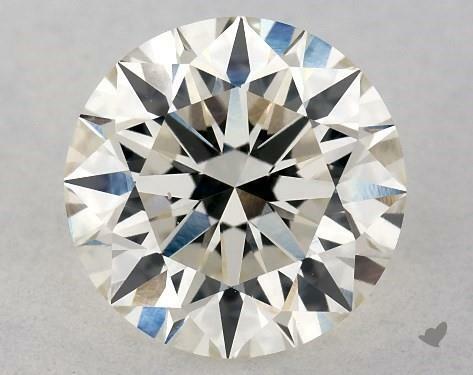 In many cases these imperfections (referred to as inclusions) are so small or in a location that has NO material effect on the beauty of the diamond. 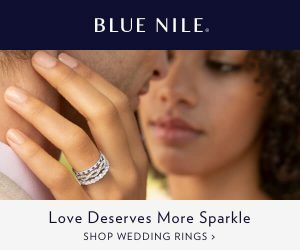 When you look online on a site such as James Allen or Blue Nile you will see the clarity of a diamond referred to by a letter code ranging from FL for a Flawless diamond to I3 for one that is Included to the naked eye. These letters refer to the overall severity of the natural flaws of a diamond when viewed under a 10X magnification. As you can imagine the price of a diamond will vary depending on its clarity with Flawless diamonds costing much more then ones with lower diamond clarity (but still beautiful diamonds). I’ve created a Diamond Clarity Chart that you can see below, I’ve put it with real world examples of various diamonds. It has large images of many diamonds so you can see for yourself the difference between each diamond clarity grading. As I mentioned above, diamond clarity is rated based on a 10X magnification. What this means is that unless you are looking at SI1 diamonds or lower the imperfections will not be visible to the naked eye and most likely will not effect the reflection of light through the diamond, which is what gives the sparkle and beauty. 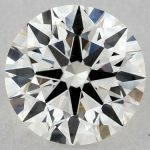 In general looking for a diamond in the VS range of clarity will offer the best value (assuming all other diamond characteristics being equal). 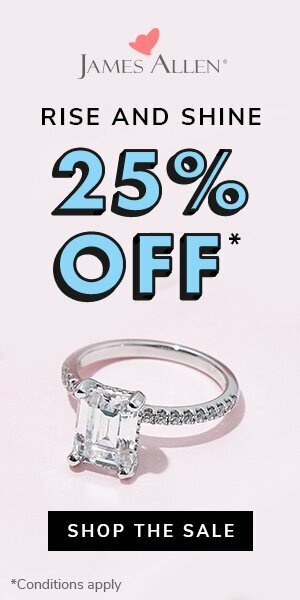 As you can see you will be paying a premium of 25% for the VVS1 diamond clarity grading even though it is more then likely that you will never be able to tell the difference between it and the VS1! In this case I would not recommend the SI1 stone as the locations imperfections are likely visible to the naked eye and will in fact have an effect on its beauty. You can read more about how I know this on the diamond certification page. 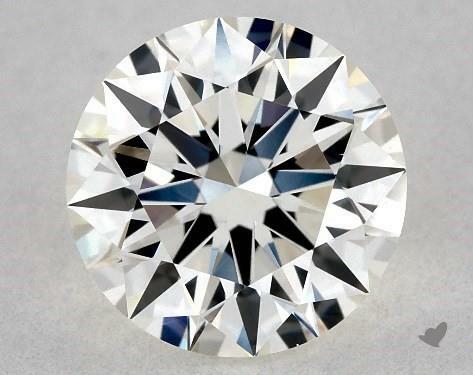 Another important fact about diamond clarity ratings is that a grade is the result of the cumulative number and harshness of inclusions on the stone. What this means is that a diamond may have several small non-visible inclusions but it may still get an SI1 rating because of the number. On the flip side you may find a VS2 with only one inclusion but I wouldn’t recommend it because of it being black and dead center of the table. 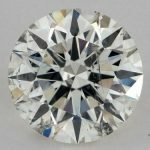 This all comes down to my overall recommendation of buying online from a vendor like James Allen where you can see the diamonds for yourself in 360 degree and 20x magnification, and not relying only on a diamond certificate. FL/IF Diamonds: Flawless: No inclusions under 10x. Internally Flawless: None or only insignificant surface blemishes and no inclusions when examined under 10x. Normally, most blemishes can be removed by minor polishing. VVS1/VVS2 Diamonds: Very Very Slightly Included: Contain minute inclusions that are extremely difficult for an experienced grader to locate under 10x magnification. VS1/VS2 Diamonds: Very Slightly Included: Contain minor inclusions that range from difficult to somewhat easy to see under 10x magnification. Typical VS inclusions are small crystals, feathers or distinct clouds. In some rare cases, a VS stone can contain an eye visible inclusion. SI1/SI2 Diamonds: Slightly Included: Inclusions are easily visible under 10x magnification to an experienced gemologist and may be visible with the unaided eye. In speaking with friends who are in the market for a diamond I often find that one of the most frustrating things is not having a clear understanding of what all the terms they are being introduced to mean and more importantly which are real concerns and which are marketing hype. The 2 most common issues revolve around diamond clarity and diamond color. As I say over and over on this site- I always recommend to be careful not to spend money on getting a “better” diamond if you will never benefit from this. A diamond is all about the sparkle and brilliance which is why cut is so important – color and clarity play less of a role in this. To better illustrate what you can expect in the real world I put together this diamond clarity chart (as well as a diamond color chart) with real images of all the diamond clarity grades. The focus of this page is clarity so I will use almost identical other characteristic (Cut & Carat mainly). The following diamond clarity chart brings you real images of GIA certified diamonds from James Allen web site. Click on the images on the right to see very large photo close ups of the diamonds. IF – FL Internally Flawless / FLawless – No inclusions under 10x. These are the rarest diamond clarity and as such the most expensive. Anything that appears to be an inclusion on an IF diamond is probably dust or at worst a speck that can be polished out easily. 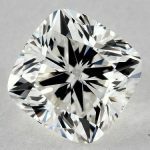 If there were a true inclusion, even a tiny one, diamond grading labs would give the diamond a VVS1 grade and not IF. 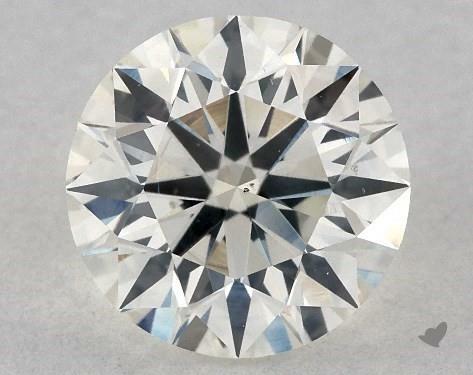 Important to note that even though this diamond is IF clarity it does not have an Ideal rating on its cut grade! VVS1 Very Very Slightly Included – Diamond clarity inclusions rated VVS1 may have minute inclusions that are extremely difficult for even an experienced diamond professional to see under 10x magnification. These tiny pinpoint inclusions are completely invisible to the naked eye and even under powerful magnification take a trained eye to find. Do you see any difference between this 0.90 VVS1 and the IF above? I didn’t think so, so why would you spend an extra +$1000 on the IF clarity? 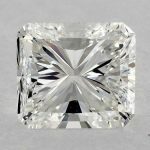 You can view this 1.01 CARAT I-VVS1 on James Allen web site here. VVS2 As in the VVS1 diamond clarity, the tiny specs on a VVS2 are invisible to the naked eye and can only be seen by a trained gemologist under heavy magnification. What generally separates a VVS2 from a VVS1 are the number of these small specs. SO while a VVS1 might have a small inclusion at 3:00 a VVS2 might have one at 3:00 and another at 9:00. This makes no difference to anyone looking at the diamond without strong magnification as both are too small to be seen even with a standard loupe. Once again- I wouldn’t recommend paying extra for this clarity grade because as you will see you can find lower grades that are just as clean to the naked eye. Or, click here to see this 1.01 CARAT I-VVS2 diamond on James Allen web site. 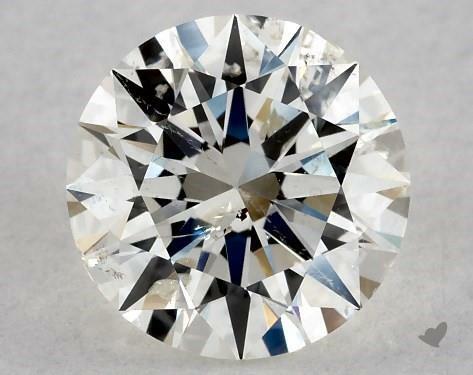 VS1 VS1 diamond clarity is defined as diamonds having minor inclusions that can range from difficult to somewhat easy to see under 10x magnification. 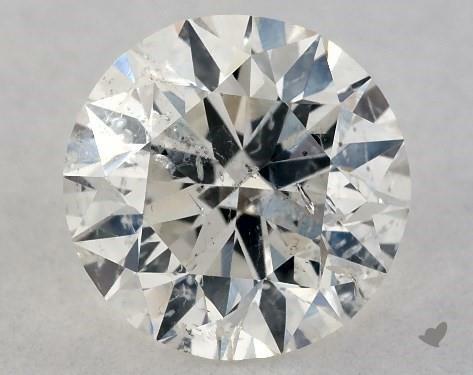 In other words with a standard loupe trained gemologist should be able to pick up and identify the inclusions on a VS1 graded diamond pretty quickly. I have seen untrained people take several seconds and need instruction on where to look to see these. These inclusions are still too small to be seen by the naked eye. Click here to see this 1.00 CARAT I-VS1 diamond on James Allen and see if you can spot the inclusion. No luck? Now click on the sample on the right to see a large blow up of the same diamond and look at the 5:30 mark. VS2 Very Slightly Included (2nd Degree) – VS2 clarity inclusions always easy to find at 10x magnification Once in a while, the inclusion be hidden and make it more difficult to find, but otherwise, even a non-skilled person looking in a standard loupe will see the inclusion. In 99% of the cases VS2 diamonds are clean to the naked eye. There are rare occasions that a black inclusion will be dead center on the table making visible even without any magnification. 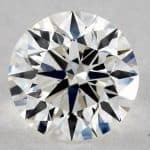 By looking at the diamond photo on a site like James Allen you can save a lot of money by buying a clean VS2 rather then a more expensive higher graded clarity. In the photo on the right I chose a really bad VS2 to show how you can see the inclusions. Had these been moved over a little to the left they would have been hidden and not visible. The diamond on the right will look clean to the eye because the SI1 grading was do to several smaller inclusions rather then 1 large one. Each of the smaller inclusions is too small to be seen individually. This is an example of an SI1 that is a great value because it still appears clean. SI1 diamonds are genrally a very good choice for diamond stud earrings. SI2 Slightly Included (2nd Degree) – SI2 clarity inclusions can many times be seen with the naked eye, most likely with shapes such as Emerald and Asscher cuts but in all cases are obvious when viewed under magnification. 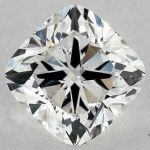 With other shapes like round and princess cuts you can find SI2 diamonds that are clean to the eye if the inclusions are not on the table itself. These can be great values as the prices for SI2 are significantly lower then higher graded diamonds. The image on the right shows an SI2 with obvious inclusions. 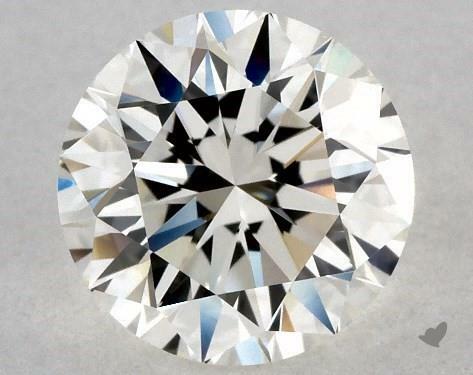 I1 Included (1st Degree) – Inmost cases I1 clarity inclusions are clearly seen by the naked eye- even on round diamonds. Because they are so noticeable especially on stepped cuts manufacturers will generally avoid producing these and in turn you won’t find many of them on the market. 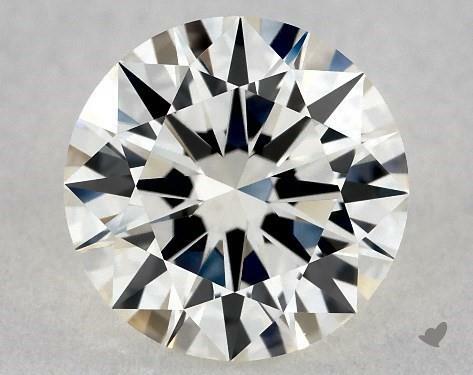 With round and Princess cuts you can find I1 clarity but again- beware as the inclusions can many times completely ruin the look of the diamond and the Brilliance. Diamond clarity is an important characteristic of a diamond, however, don’t get oversold with it from jewelers, you need to pay more attention (and more money) to other more important factors, like the Cut mainly. 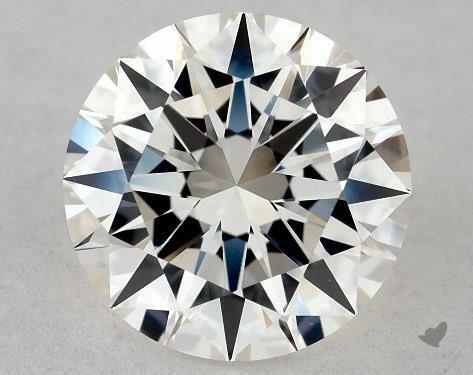 Once you decide on all other factors, get a diamond with SI1 clarity and you’ll be safe, none of the inclusions on the diamond will be visible to the naked eye. BUT, be careful, make sure that these very minor inclusions aren’t black & dead on the center of a diamond table (top of diamond).